It seems like there’s always a home remodeling project that needs doing, and choosing amongst options can be daunting. But a few basic remodeling ideas, like redoing your roofing and siding, stand out for providing a wealth of benefits. Here are a few of the advantages you’ll reap from these essential projects. On average, the roof is about 40% of a home’s exterior visible from ground level, and siding makes up most of the rest for homes with it. Simply put, nothing will have a more dramatic impact on how attractive your home is than upgrading either or both of them. Everyone who’s survived a Maryland summer knows how strong the sun can be. Consider what it does to your skin inside an hour; now imagine that it’s beating down on you for 14 straight! Your roof takes the brunt of it, but the heat and UV rays also take a toll on the siding. Storm and tree-fall damage also cause headaches. Once the outer surface has deteriorated enough, rain will get through and moisture will start causing damage. Siding and roofs are designed to last a certain number of decades and must eventually be replaced. A basic remodel before interior damage occurs virtually always pays for itself. Everyone’s heard that curb appeal is essential for selling nice homes, and nothing adds to that than upgrading your roof and siding. Studies indicate that remodeling a roof has a return on investment of 75% and that replacing siding can have an ROI of up to 89%. Both have also been shown to reduce time on the market, which is usually correlated with selling price as well. When you’re ready to replace your roofing and siding, no one beats the dedication, tenacity, and professionalism of Badger Contracting. 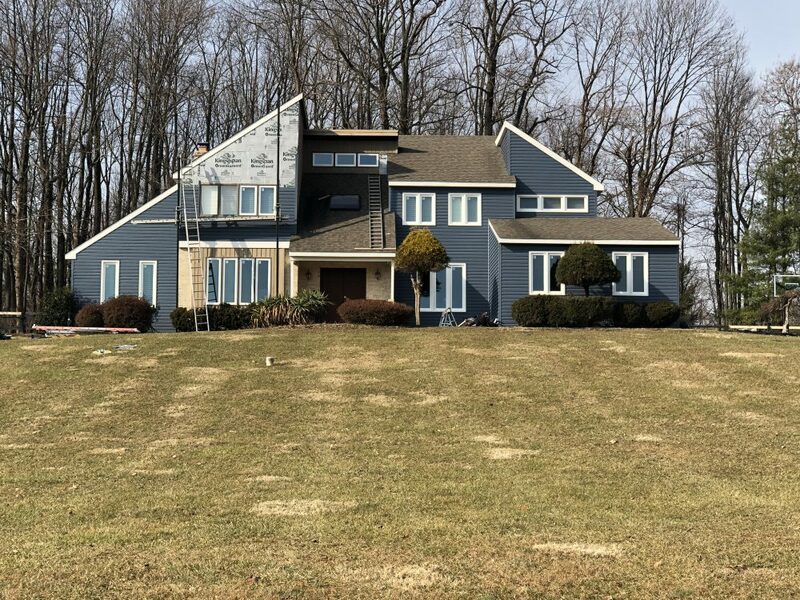 They provide timely, no-stress roofing and siding service for the full life-cycle and have completed countless projects for many happy customers. Give them a call at 410-417-6972 or send an email today!